At its best, retro does more than imitate a prior era, it transports us back to an idealized moment in time. 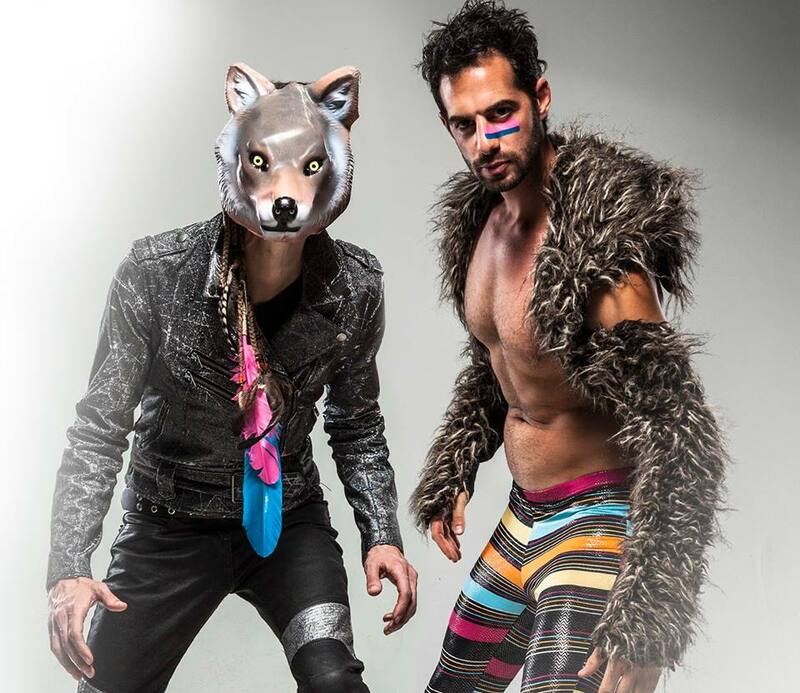 Josh D’Elia and Jeffrey Chernick are Story Of The Running Wolf, and Story Of The Running Wolf are habit-forming. “Stratospheric” is a gentle, glittery synth-pop gem. The futuristic tribal outfits, glam rock makeup, and cult movie references in its accompanying video are a bonus. To tide us over until they release more tunes, the LA duo have given several other artists (Capital Cities, Freedom Fry) the “Electric Neon” treatment. Our favorite by far is the “We Are Never Ever Getting Back Together” remix, better than anything post-“Teardrops On My Guitar” Taylor Swift deserves, featuring pitch perfect Slick Rick vocal drops. We met this group in the crowd after Phantogram‘s star turn at this year’s Treasure Island Music Festival, and hopefully the next time we see them they’ll be wowing a crowd of their own.